Charles Stross, THE BLOODLINE FEUD. A shiny, shiny omnibus of Charlie Stross’s THE FAMILY TRADE and THE HIDDEN FAMILY, now in one cover as THE BLOODLINE FEUD. 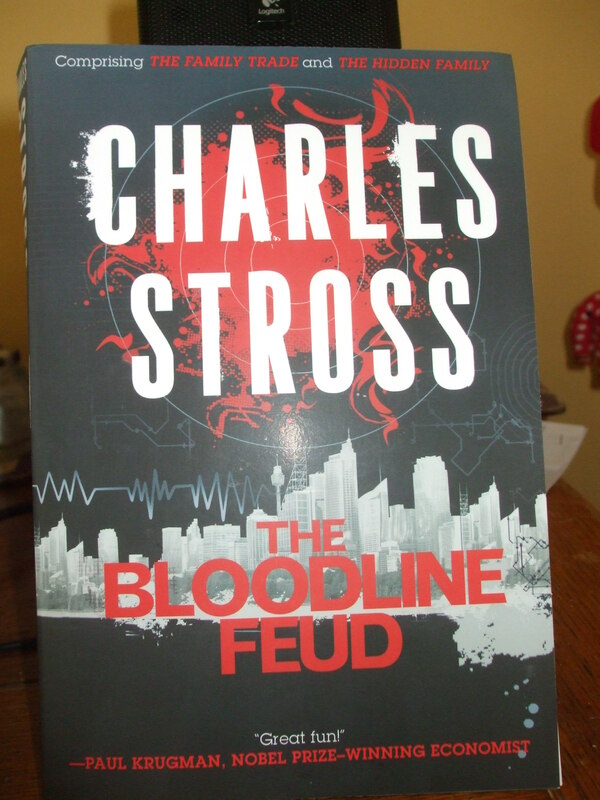 This entry was posted in SFF and tagged books, Charles Stross, pictures, Tor Books. Bookmark the permalink.